This week: 25% OFF Dermalogica Daily Superfoliant (57g) and Dermalogica Meet Dermalogica Kit, Free Party Prep Gift Set and Free Candle plus This Week's Discount Code. 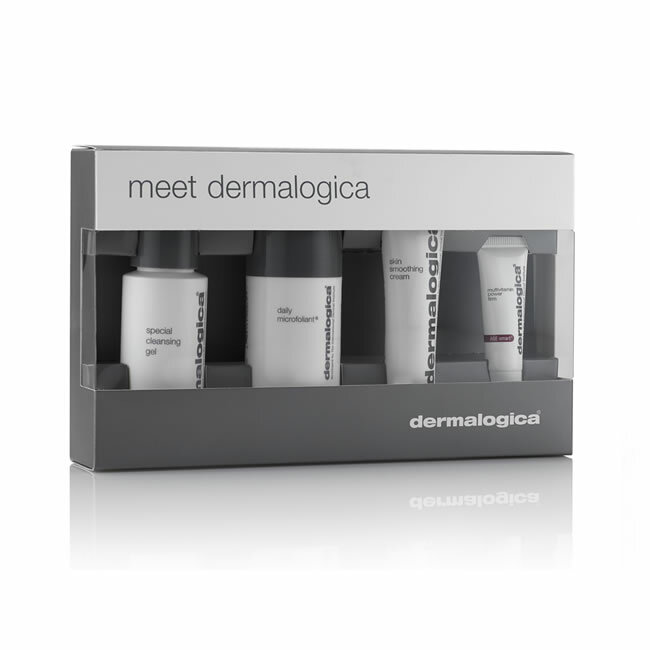 In this week's Newsletter we have a Dermalogica Party Prep Gift Set when you spend over £50.00 and we'll send you a Dermalogica Candle too if you spend over £90.00, plus this week's 5% Discount Code: 08NOV17 and Special Offers on Dermalogica Daily Superfoliant (57g) for £41.25 and Dermalogica Meet Dermalogica Kit for £22.50 - that's 25% Off RRP!. Newsletter Discount Code: 08NOV17 - Valid until Wednesday 15/11/2017. 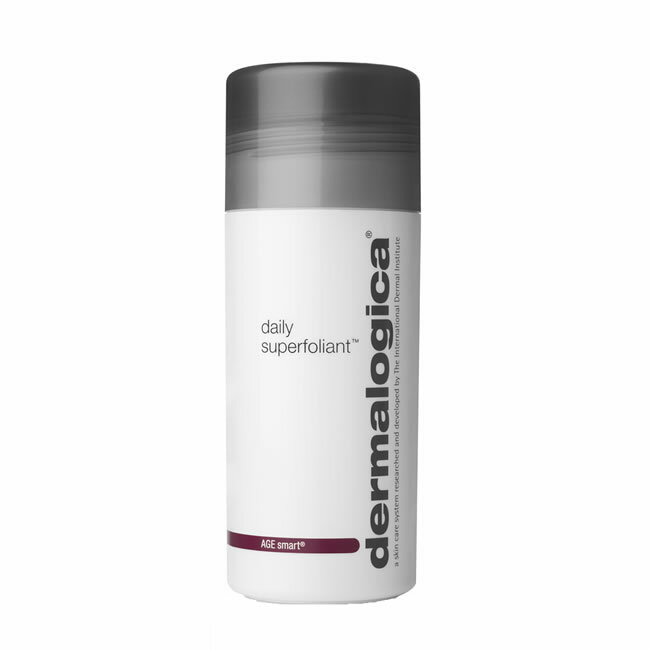 Dermalogica Daily Superfoliant is a resurfacing, anti-pollution powder exfoliant is a must for those who are concerned about premature skin ageing and the effects of pollution. When you think of chamomile, you tend to automatically think of the herbal tea that helps lower stress levels, regulate sleeps and boosts the immune system. However, it is the soothing qualities of this plant that can also have a positive impact on our skin. Due to the anti-inflammatory and antioxidant-rich nature of chamomile, it is found in a variety of beauty products and some of those are stocked on the Pure-Beauty website. The Papaya. It may seem like a humble fruit which is often part of fruit salads but rarely seen in a lunchbox by itself, but this Central American fruit which is also know as the pawpaw is a powerhouse of beauty benefits and can be found in many of the products we sell. 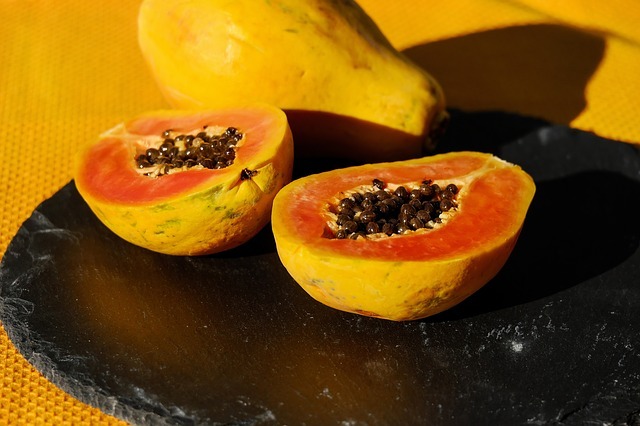 The enzymes in the fruit are incredible at dealing with hyperpigmentation, so we thought we'd pull together some of our favourite papaya-containing products to show you just how useful it can be. When you're a teen, you have this vision that adulthood will be a time of clear skin and perfect hair, so it can be a major disappointment to get way into your adult years and still be dealing with issues like adult acne or lank locks. Some people say that hormones contribute to greasy hair but there are also a few other things that you could be doing which is exacerbating the problem. Read on to see where you might be going wrong.